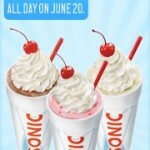 Sonic Summer of Shakes: Half Price Shakes after 8! You are here: Home / restaurant deals / Sonic Summer of Shakes: Half Price Shakes after 8! One of my FAVORITE (albeit dangerous) summer promotions is BACK! 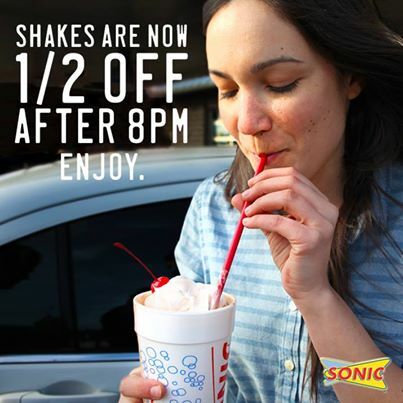 Sonic is once again offering half price shakes after 8 p.m.! 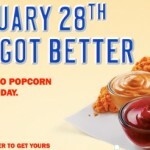 This promotion has already started and they’ve got 25 YUMMY flavors to choose from! 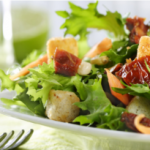 My kids LOVED this promotion last summer and it was great leverage for me! What’s YOUR favorite Sonic shake? I love the chocolate covered strawberry shake and the strawberry cheesecake shake, but the peanut butter & bacon shake sounds SCARY! 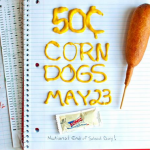 Sonic $.50 Corn Dogs Today Only!